Joseph Napier Obituary: Joseph Napier’s Obituary by the Claire Brothers Funeral Home. 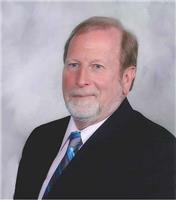 Joseph B. Napier, "Joe B. ", beloved husband, father, grandfather, brother, son-in-law, soccer enthusiast, uncle and caring friend, passed away at his home on Sunday, November 18, 2018. Joe B. was born on February 18, 1951, in Glendale, California, to Winola and Roman Napier; when he was two years old, the family moved to Texas. Joe B. attended Cy-Fair schools for all twelve years; then, he went on to attend the University of Houston before eventually joining P & N Machine Company, serving as Vice President of Plant Operations. While helping his brother grow the company for forty-five years, Joe B. 's servant leadership style enabled him to become a mentor and father figure to many of the employees. He is survived by his loving and dedicated wife of forty-five years, Charlene and their three children: son, Eric Napier; daughter, Alana and her husband, Shane Norcross; and son, Kyle and his wife, Naomi. He will be fondly remembered as Papa by his seven grandchildren: Jonah, Caleb, Matthew, Nathan, Kayli, and Lander Norcross and Natalie Napier. He is also survived by his four older siblings and their spouses: Penny Wilson, Patrick and Alice Napier, Rick Napier, and Claire Pixie and John Lee Davis, as well as many nieces and nephews. Joe B. is preceded in death by his parents, Roman and Winola Napier. A passion for music, a quick wit with a "punny" sense of humor, a great eye for documenting family gatherings through pictures and video, and an extremely giving heart were just a few of the attributes that endeared Joe B. to so many. He touched the lives of numerous people through his various activities and interests. His heart for charity and volunteering was evident through his involvement with the Houston Livestock Horseshoe Competition, the Curing Children's Cancer charity and his work with the Cy-Fair Soccer Association. Joe B. was a "busy, modern-day Johnny Appleseed" in the late 1970s, planting steel pipe soccer goal posts on area elementary and middle school playgrounds so teams could practice. He served in virtually every position in the CFYSC organization, and he also coached teams and refereed games for many years. Joe B will be greatly missed by his family and friends. A Celebration of Life Service will be held for Joseph B. Napier at 2:00 pm Thursday, November 29, 2018 at Cypress Bible Church on Cypress North Houston. The family will receive friends from 1:00 until the service begins. Donations may be made to the Dynamos Soccer Association (10924 Grant Rd., #224, Houston, TX 77070. Make checks payable to "Dynamos Soccer Club" with "Joe B. Napier College Scholarship Fund" on the memo line) or MOSAIC Global Ministry for orphans through Northpoint Church (1320 Arrow Point Dr., Ste. 201, Cedar Park, TX 78613. Make checks payable to "Northpoint Church" with "MOSAIC in memory of Joe B. Napier" on the memo line). Published online on November 27, 2018 courtesy of Claire Brothers Funeral Home . "Some of my earliest memories involve family and Uncle Joe B was a big part of those! Coloring on the floor at Grandpa and Mema's, spending the night at he and Char's house, pictures upon pictures and videos upon videos...oh and the MUSIC!!! Don't..."
Create a memorial website for Joseph B. Napier that combines the obituary, Guest Book, and more. Share memorable stories, photos, videos, and more in a unique way to honor and celebrate the life of your loved one.